New Era Publications – Author Services, Inc. 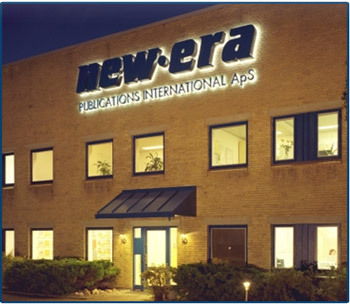 Located in Copenhagen, Denmark, New Era Publications International is the publisher of the nonfiction and fiction works of international best-selling author L. Ron Hubbard. New Era publishes and distributes Mr. Hubbard’s hard and soft cover books and other materials for Europe, the United Kingdom, CIS, India and the Middle East. New Era’s sister organization—Bridge Publications, Inc., in Los Angeles—is the publisher of his works for North and Latin America, Africa, Asia, Australia, New Zealand and Oceania. Having established itself at the vanguard of the publishing industry for the twenty-first century, New Era continues to meet the ever-increasing global demand for the solutions of Dianetics and Scientology, by producing and distributing L. Ron Hubbard’s materials at an unprecedented level across dozens of nations.